The Legend of Zelda Breath of the Wild is a single player open world action RPG and it is 3D open world RPG that fans of the Zelda series have been waiting for. 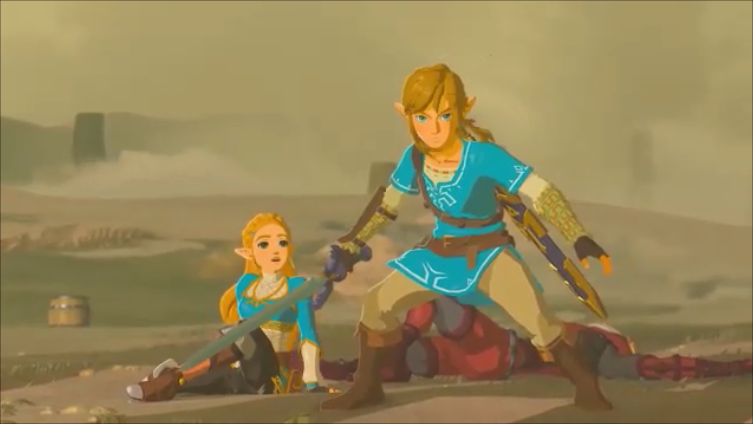 We don’t mean to attack games like Skyward Sword or Majora's Mask but those games pale in comparison to what has been created for Breath of the Wild. It has a lot in common with games like the four Batman Arkham games. Link is awakened by the sound of a women’s voice calling out to him. He does not know where he is or who he is either but he is underground and needs to find out where this voice is coming? Whose is calling out to him? Why are his memories gone and why was he put in this underground cavern. 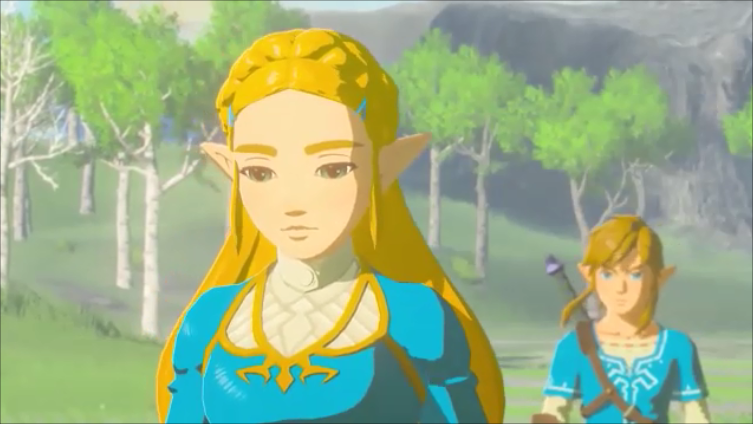 Breath of the Wild returns the Zelda series to its roots with true open world gaming. Accept for early on in the game and a few sections that you have to unlock you can go anywhere you want as long as you can survive long enough to get there and survive there. We spent hours willingly just walking around exploring ever structure, every swamp and every mountain top in the remanence of the former Hyrule. The landscape is huge and the amount of area to cover is amazing in its size. Thankfully there is fast travel and you can find a wild horse and train it to be your trusty steed. But, there is a fourth choice beside those two and walking…a glider! You can climb to the top of any highest point and just jump off and glide to as far as you can go as long as you have enough stamina you can fly anywhere you want. It is a lot like the Batman Arkham series where Batman just jumps and glides around. 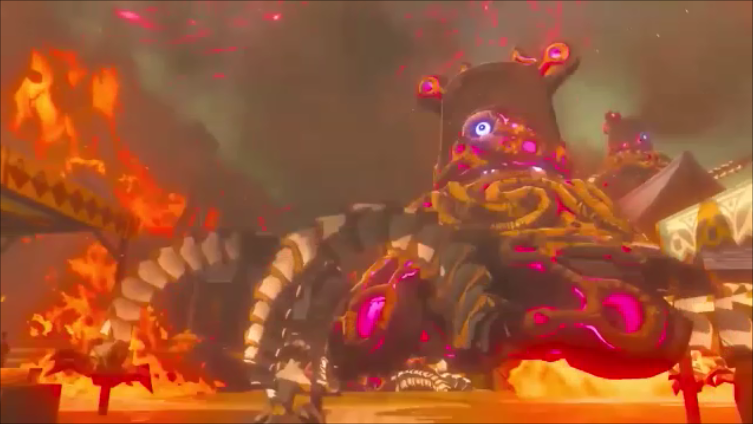 Zelda games are known for their storylines featuring Ganon attacking the land of Hyrule to get the power of the Triforce and Princess Zelda and Link having to fight him off but this time Hyrule is a completely different place because something happened 100 years ago and Link does not remember what I was. The game is also filled with side quest that are just as worth as the main story. There are tons of optional areas to explore and the combat is almost completely up to you. If you find a group of Bokoblin camping. You could sneak up on them and take their weapons and then attack. If the wind is right you could set the grass on fire and let it burn them out of the camp. You could just hide and take them out with arrows and of course you can charge like a crazy person and just hack and slash until they are no more. The whole combat system is filled with surprises and all work equally, it is all up to you. The camera has some annoying adjustments issues but all the mechanics work out well even with the camera problems. The voice acting is great we just wish there was more of it and we want to hear Link talk but he is silent the whole game. With everything going on we felt like he needed a voice. There are tons of optional hidden bosses that will keep chasing you if you don’t put enough distance between you and it if you don’t want to or can’t fight it and if you have a Twilight Princess Amiibo Wolf Link will join you on your quest. If you played games like Fable or Fallout it is the same concept. Wolf Link will attack your enemies and find secret hidden things for you and it is just cool to have him around. The Legend of Zelda Breath of the Wild is extremely fun to play and hard to put down once you start playing. We spent 50 hours just on the main story. We took our time and explored areas on are way to finally facing Calamity Ganon. 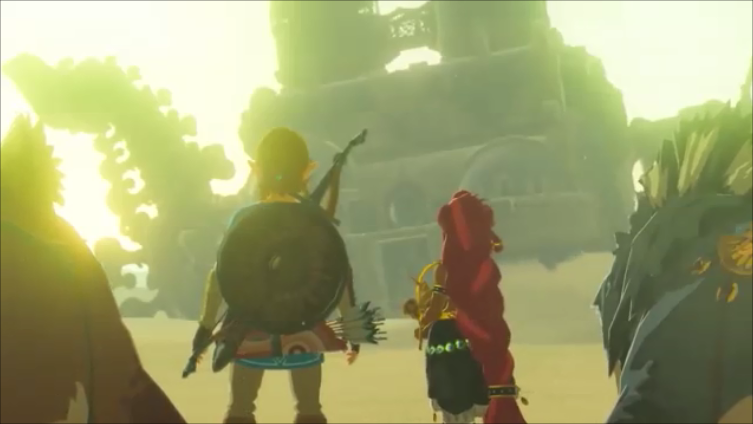 To figure everything out and to do everything Breath of the Wild is easily a 100 RPG and that is what we wanted. It is an easy buy at a new game price of $60.00 dollars or more and if you find it under $30.00 it is a MUST BUY PRICE! for all Nintendo Wii U and Nintendo Switch owners!